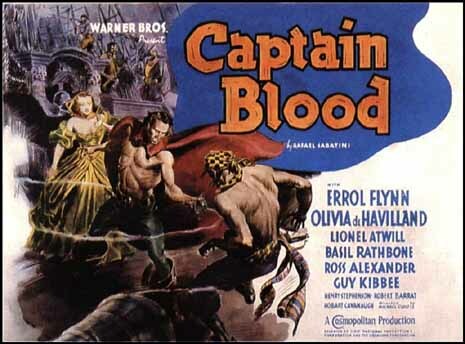 Based on the adventure novel by Rafael Sabatini, Captain Blood stars Errol Flynn as the title character. He is a swashbuckling Irish doctor, solider and sailor. After he becomes falsely convicted of a crime, Blood finds himself banished to the West Indies and sold into slavery. 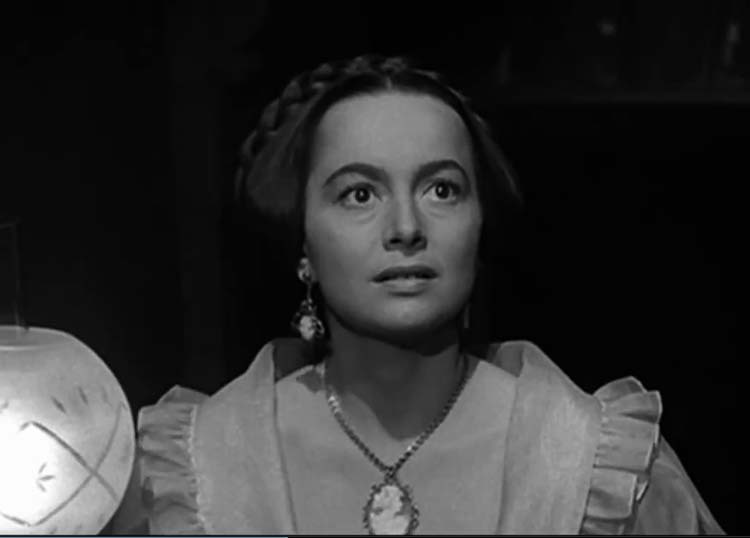 Governor’s daughter Arabella Bishop, played by Olivia de Havilland, purchases Blood to be part of her slave workforce. Soon Blood goes from slave to the compounds doctor to escaping and becoming a pirate. Series of events cause Arabella Bishop taken prisoner and sold as a slave to Captain Blood! Thus the tables are turned and now Arabella is a slave to Captain Blood. Watch clip of the film “Captain Blood” below.